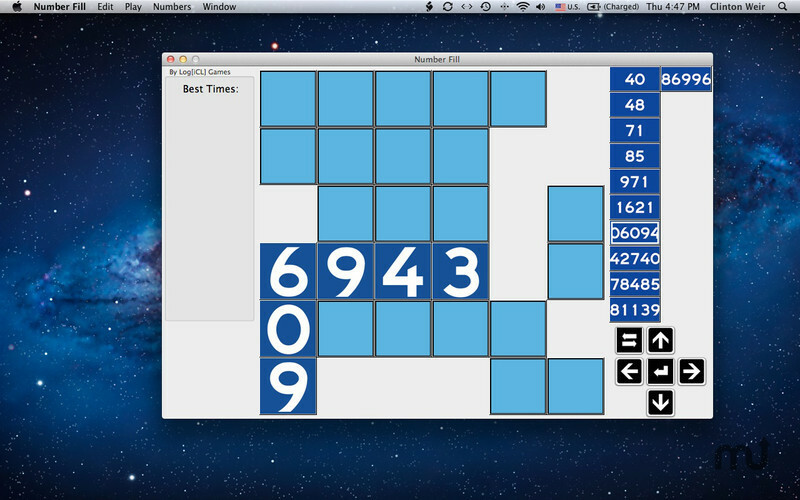 Collection of challenging number puzzles. Is there a better alternative to Number Fill? 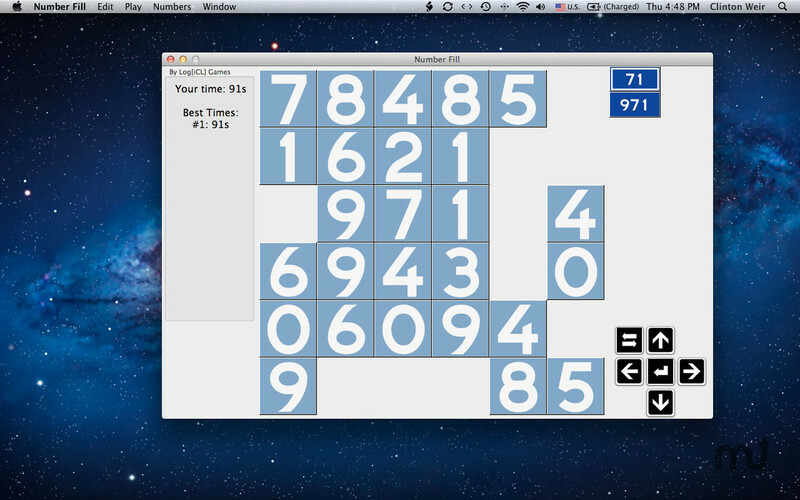 Is Number Fill really the best app in Puzzle category? Will Number Fill work good on macOS 10.13.4? 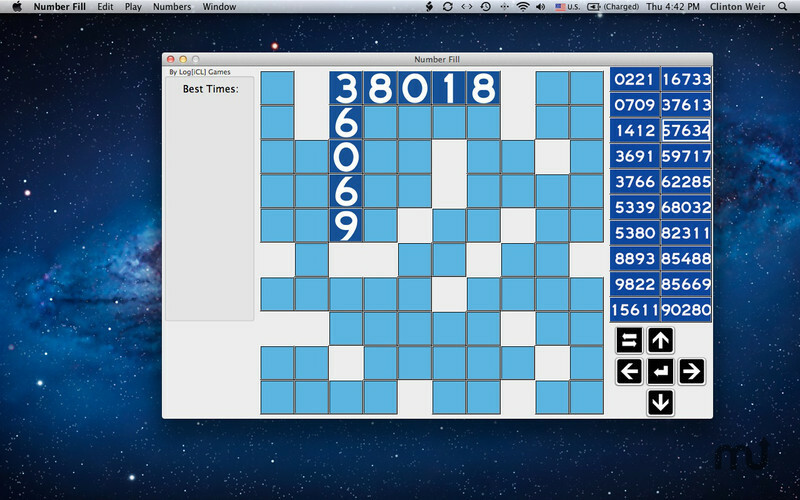 Number Fill is a collection of classic number puzzles for your Mac! 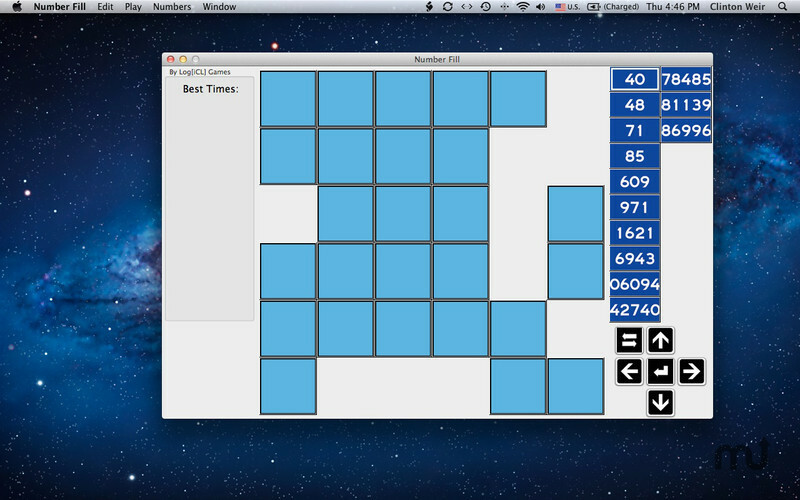 There are 8 puzzle sizes for you to choose, ranging from tiny 6x6 puzzles to huge 16x16 puzzles. And if you get bored with numbers, try the chromo-style puzzle, in which colored squares replace numbers for a new twist on a classic puzzle. You may never run out of puzzles to play! The grid will be filled with blank spaces and it is your job to use logic to figure out how to put the given numbers into the grid so they all fit. It's like a crossword puzzle, but with numbers instead of words. Number Fill needs a review. Be the first to review this app and get the discussion started! Number Fill needs a rating. Be the first to rate this app and get the discussion started! No need to worry if you get stuck - the app will not accept incorrect inputs, and on your first mistake will fill in a cell to give you a hint. 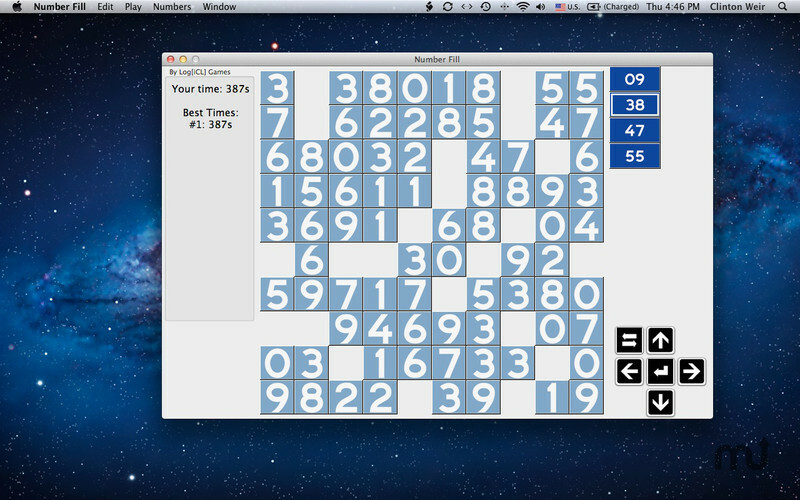 Finish the puzzle in the fastest time possible, then challenge your friends to beat your best time. To play, press one of the numbers to the right of the play field then touch the square where you think the first digit of the number should go. You may also use the arrow keys in conjunction with the Tab and Enter/Return keys.